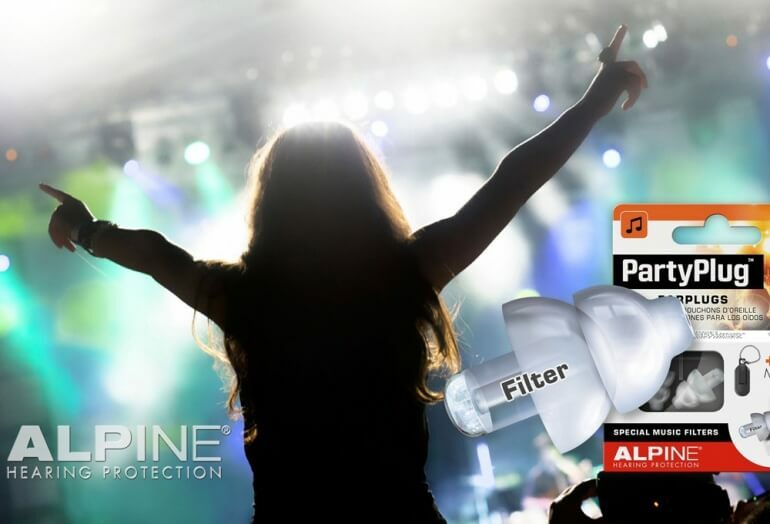 These small earplugs from Alpine Hearing Protection are designed to protect your ears at concerts, festivals, clubs and more. 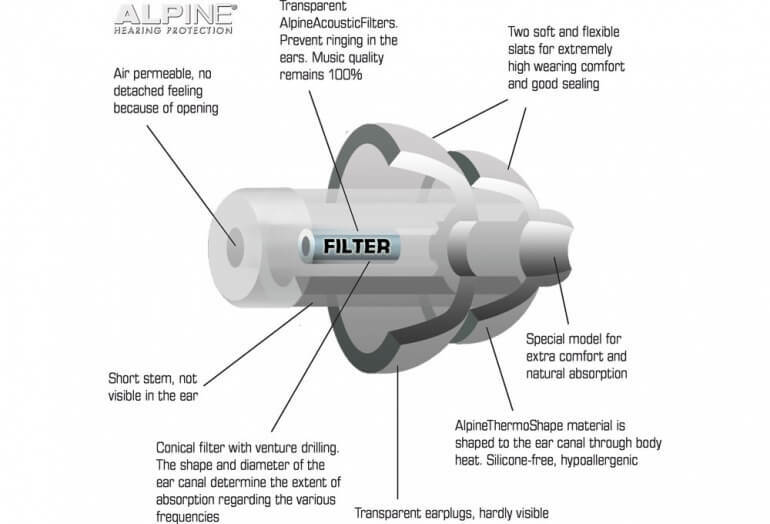 Alpine Hearing Protection is known for their wide range of practical hearing protection products. The PartyPlug is their offering designed specifically for use at parties, nightclubs, concerts and festivals. These earplugs use an acoustic filter to lower the volume of sounds that reach your ear while preserving audio quality. The small, replaceable filters and earplug are rated to provide protection in high noise environments while still allowing you to hear the details of music or conversation - just like turning down a volume knob on the world! 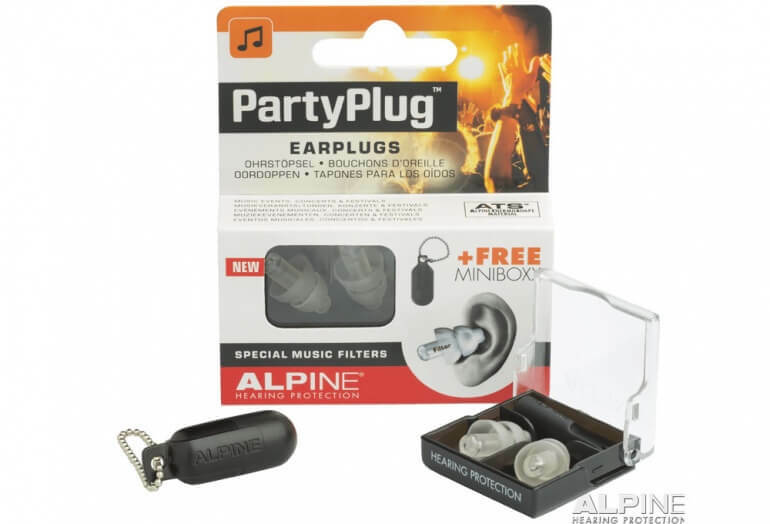 These earplugs are made from special Alpine Thermo Shape Material which molds to the shape of your ears. The plugs are discreet. They don't stick out of your ears like traditional foam earplugs do. Also included is the Alpine MiniBoxx carrying case so you can carry and keep them clean.